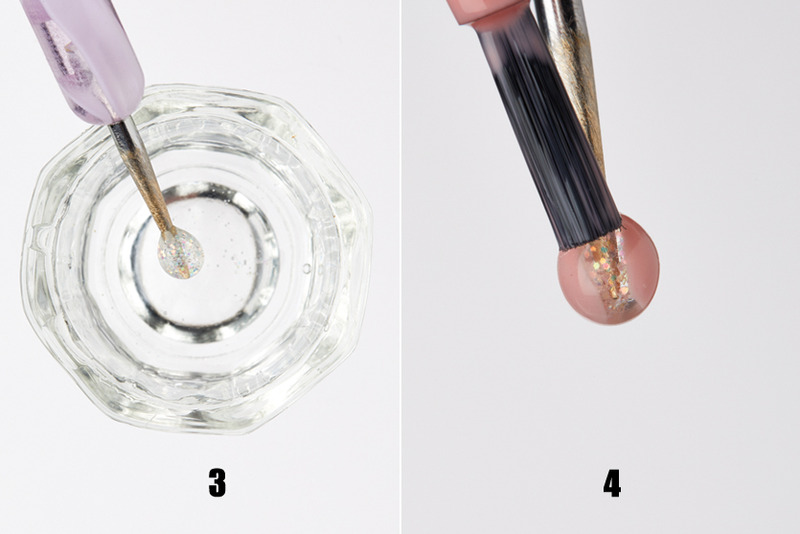 When it comes to nail art essentials, NSI Tech-Gel Glitter Base is a must. Use this thin-viscosity gel to create custom glitters, blooming art designs or even 3-D candy balls, shown here. Plus, because of its crystal-clear finish and super-solid hold, it’s ideal for adherng crystals and other embellishments. The non-yellowing, no-bubbling formula makes this a go-to product for all of your gel art services. 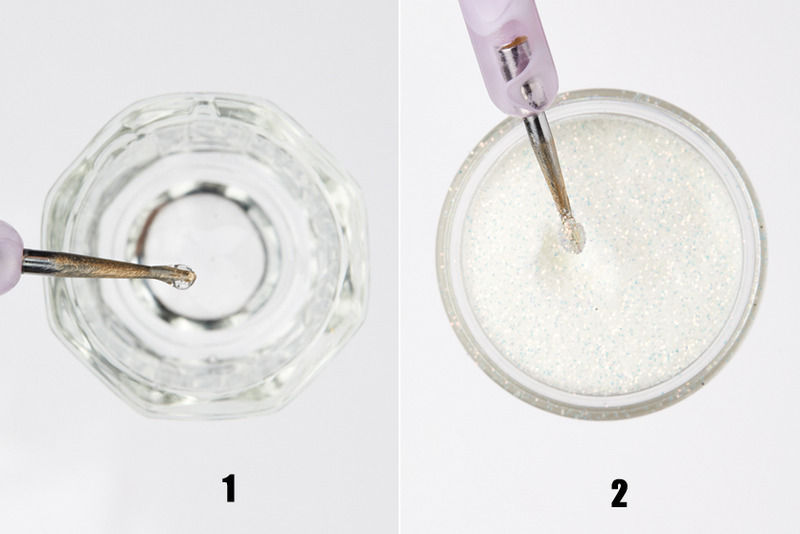 1) Pour a small amount of Tech-Gel Glitter Base into a jar. Dip the tip of the implement into the jar to scoop up a small bead of product. Allow it to settle into a ball. Cure for 30 seconds in an LED lamp or 2 minutes in a UV lamp while slowly turning the tool to maintain the round shape. 2) Dip the ball into iridescent white Secrets Sparkles Glisten. 3) Dip the glitter-covered ball back into the Tech-Gel Glitter Base. Cure while turning the tool. 4) Paint petals on each side of the ball with Polish Pro Gel Polish in Buff. Cure. 5) Dip the ball into the Tech-Gel Glitter Base again. Cure. Repeat Steps 4 and 5 at least three times to achieve the desired look. 6) Finish with Essential Seal, cure and wipe the inhibition layer. Remove the candy ball from the tool by slowly twisting it upward. File the back of the ball until it’s flat, and then adhere it to the nail with more Tech-Gel Glitter Base. Cure and finish the nail as usual. Use a thin, sharp implement instead of a dotting tool for this technique to easily remove the candy ball. File the tip of your implement before dipping it into the base to roughen the surface for the product to hold.